woody plants are some of the gardening activities for this month. and thyme indoors. 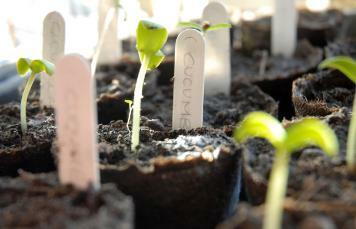 Start seeds in flats filled with moistened seed-starting mix. (timers make this easy) and keep soil moist. minimize your need for pest and disease controls. remove dead or damaged branches at any time. to look great in dried arrangements. until all danger of frost is past. rudbeckia, scarlet sage, and thunbergia. Keep in mind that seed catalogs and packets often give "days to germination"
Indoor Seed Sowing for Flowers (OH89) and Vegetables (OH90).